Welcome To Jamar Construction Co. 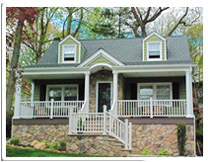 Since opening in 1987, Jamar Construction has been Family owned and operated business specializing in high quality, installations and replacement of windows, doors, siding, roofing, gutters and leaders in Northern NJ and Rockland NY County. Being a Family run business for 3 successful decades, we’ve dedicated ourselves to giving our customers a professional home remodeling experience, in a timely manner, with a personal touch and no high pressure sales tactics. Long after the sale, we will remain only a phone call, email or text away to satisfy all our customer needs or concerns. We look forward to being there for you, to retain a 1st class working relationship for years to come. The Jamar Home Remodeling family is proud of our 30+ year record of providing innovative, cutting edge home improvement products to our New Jersey and Rockland, NY customers. Jamar specializes in replacing windows, vinyl siding, doors, stonework, roofing, gutters, gutter protection as well as decks, porticos, room additions, kitchens, and baths. 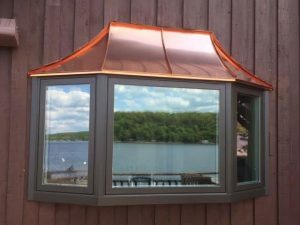 Jamar Windows Door Siding has the products and expertise you need for your new or replacement projects in the Paramus, Ridgewood, Glen Rock, Ramsey, Mahwah or Wyckoff areas. 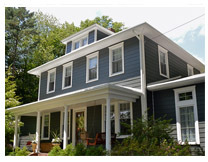 Our goal is to redesign your home into a green energy efficient home with POP creating spectacular curb appeal. We will work to earn your future referrals through our attention to detail and our commitment to a lifelong relationship that will serve to meet all your home improvement needs through the years. Based in Paramus, we are a family-owned business, fully licensed and insured. Our employees are knowledgeable, factory-trained and certified, and dedicated to providing customers with timely, personal service. We are members of both The Better Business Bureau Serving New Jersey and The Greater Paramus Chamber of Commerce. Importance of Remodeling Your Home. Industry experts view new windows, doors, and vinyl siding as excellent home improvement investments because they add beauty and resale value to homes while leading to increased energy conservation and savings. Jamar Home Remodeling understands the importance of remodeling, and we look forward to partnering with you to ensure that you get the quality results you expect. Surveys show most exterior home improvements return a 60% to 80% return on investment upon sale of the home. Web are only a phone call, email or text away to satisfy all our customer needs or concerns. We look forward to being there for you, to earn your future referrals and retain a 1st class working relationship for years to come. Upgrade old drafty windows with quality, brand names you can trust. 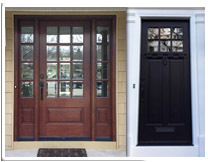 We install both replacement or new construction windows, and bows or bays. Roof replacement is one of the most important and affordable upgrades you can make to your homes exterior. Jamar specializes in replacing windows, siding, doors, stonework, roofing, gutter protection, deck installations, porticos, kitchens, baths and small additions. Copyright 2017-2018 Jamar Construction | All Rights Reserved.